Brandt AquaSurf Aquatic Non-Ionic Spreader Adjuvant is a spreader designed to increase the efficiency of various crop protection products including aquatic herbicides. It improves spray coverage and penetration of plant foliage, enhancing pesticide performance. 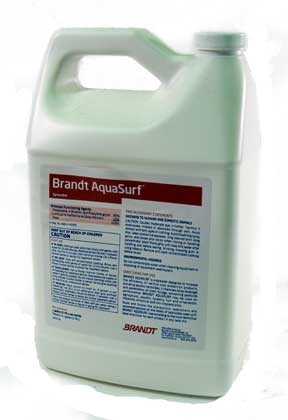 Brandt AquaSurf Aquatic Non-Ionic Spreader Adjuvant may be used on agricultural, aquatic, forestry, turf and ornamental, industrial, structural and non-cropland sites.